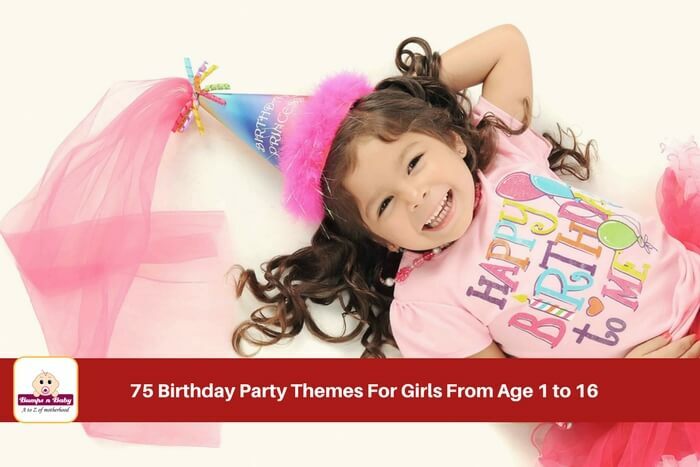 Are you looking for birthday party themes for girls? Do you lack decor and party food ideas to make that perfect party happen? Tired of that pink theme that every one picks for a girls party? Here is a list of ideas to plan that perfect theme party to please your little girl and her gang. Planning and executing a birthday for your little one can be a really stressful job. From simpler days where birthday’s meant wearing a new dress to school and having a feast at home, things have shifted to elaborate theme parties! Imagine the number of things that you have to consider. A kid friendly décor, food, drinks, guest list, games, party favours etc. The most critical thing is that it should be something your kid likes, after all it is their special day. I have seen parents struggle to find the perfect theme for their little one’s birthday party. 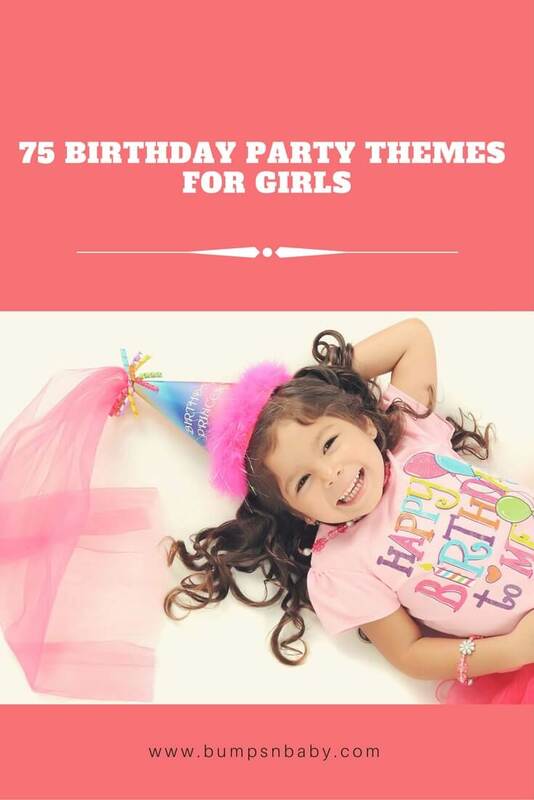 Today’s post is about 75 birthday ideas for your little princess. What is a birthday theme? Well a theme party revolves around a particular setting. It could be anything from flowers to butterflies, a particular era, a cartoon, a fairytale etc. In this scenario the décor, tableware, gifts, games and activities are all centered on this theme. If you think that is too much and won’t be able to handle it there are party planner who will take the load of your hands.What used to be a family affair has become a lucrative business with party planners and vendors helping you to craft the perfect party for your chid. 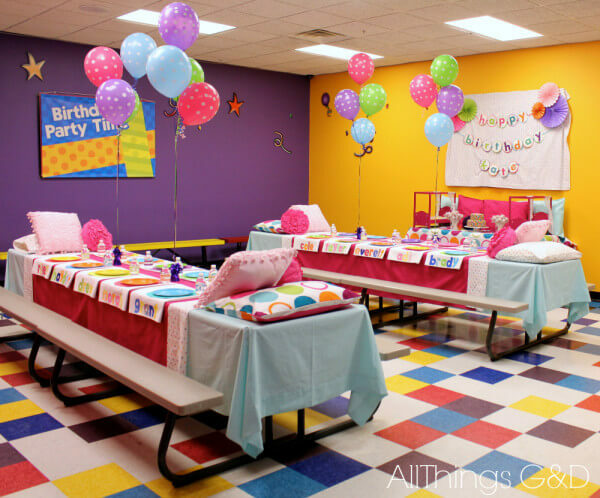 When it comes to parties, I love to plan and execute my kiddo’s birthdays! It is easy actually, all you need to do is plan in advance! That and a theme that your little one will like and you are all set. 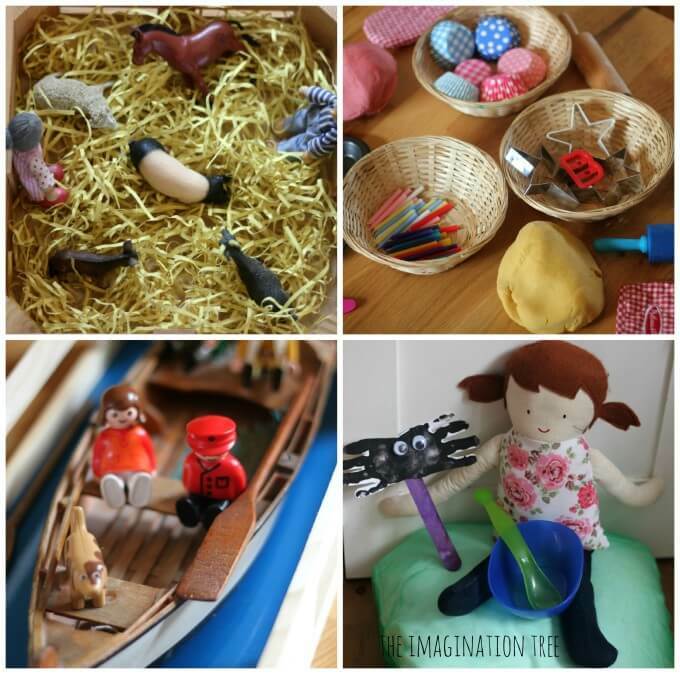 Today’s post is about some lovely birthday ideas for your little girl. Are they only for girls? Well, some in the list are apt for boys and girls! So take a look and take your pick! Polka dots, they are classy and yet girly. You can decorate the venue with polka dotted table clothes and curtains. 1) You can hand the kids papers with the polka dots on them, each paper would have a pair. The kids have to find the partner who has the exact same paper before the time runs out. 2) Divide the kids into teams. Each team will be given a big paper that they have to decorate. Hand colour paper and a paper punch to the kids and ask them to decorate the paper. The team with the prettiest paper wins. Serve the snacks in paper plates and cups with polka dots on them. Also don’t forget to wrap up the gifts in paper with polka dots on them. 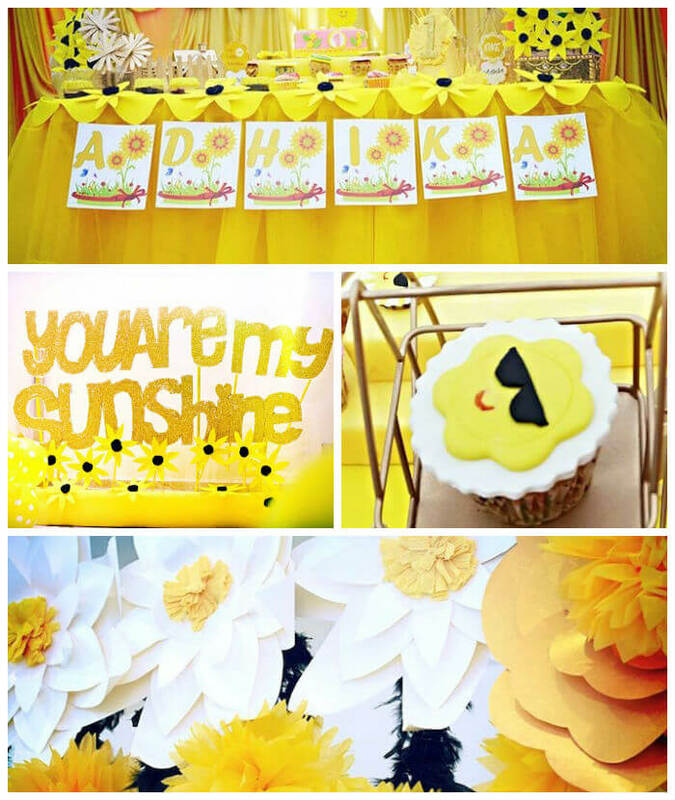 See how Laura Wittmann threw herself a polka dotted birthday party for her 45th birthday. Four or forty-five, polka dots are spot on theme for a birthday party. One tip that Laura gives is to first select the outfit and then come up with a theme that goes well with the outfit and I think it perfectly makes sense. Who doesn’t love this adorable friend of Mickey Mouse? 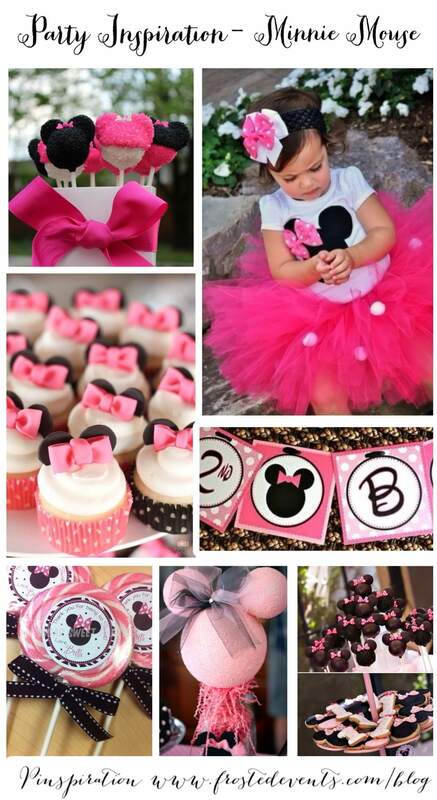 If it is Minnie mouse that your little one loves, then let her have a Minnie mouse party! For the décor you can go with pink and black or red and black. Don’t forget to add a lot of bows as that’s her trademark accessory. You can hand out bows with ears on them but leave the bow plain, the kids can decorate those and have a small ramp walk with their creations. The food can be served in pink or red plates, you could also use plates with Minnie Mouse’s picture on it. Party favors – Hair accessories, bracelet charms are all good return gifts. You can also buy room décor items with the Minnie Mouse theme. 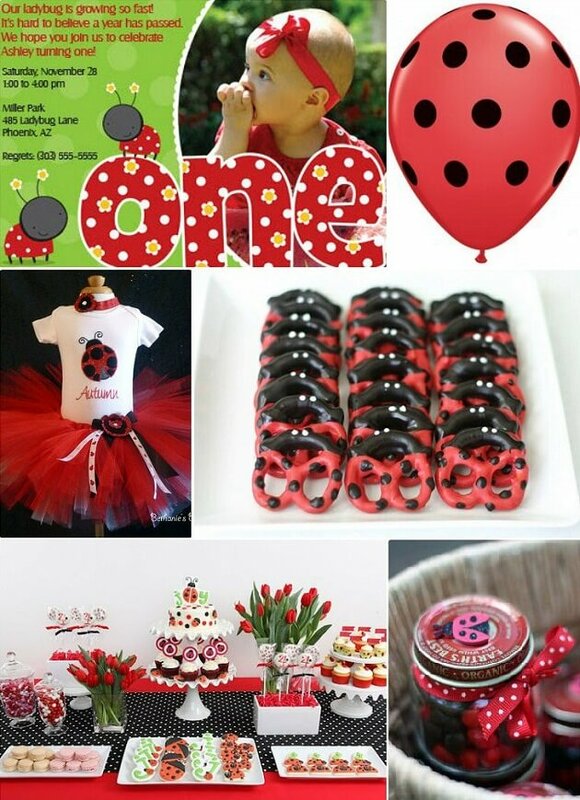 Take a look at this Minnie mouse first birthday party theme from Frosted Events. The previous theme deals with only Minnie, but you can go a step ahead and add the rest of the gang. All the characters of Mickey Mouse clubhouse gang! Add to the décor with cuts of all the characters. 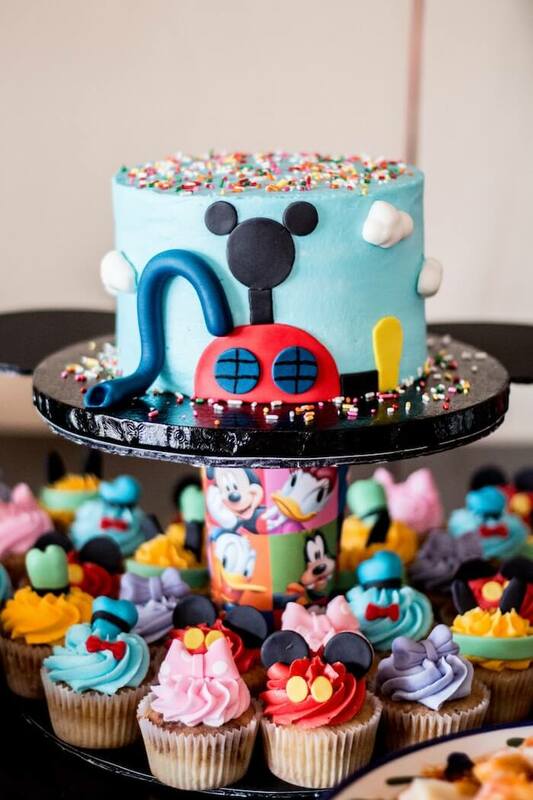 Have a look at Mickey Mouse Clubhouse Themed Birthday Party photographed by Amanda Bynum to get an idea on how to perfectly blend all the clubhouse characters to make your little Mickey Mouse fan go all wow. A lot of parents try to stay away from stereotyping and using pink. But then many girls love pink. My daughter loves all colors but she calls them all pink. This is an easy one as the market is stocked with all things pink for you to plan a perfect party. You can make use of some pink balloons and ribbons for an amazing décor without having to outsource the décor. Depending upon the age of your child you can plan the games and gifts. This one is a theme for kids who are at least 6 years old. Prim and proper ladies need a tea party to celebrate their birthdays. You can start off with an invite in the shape of a teapot. Don’t worry you don’t have to serve them tea, you can always do with some hot chocolate or cocoa. As the title suggests, this is best suitable if you are planning to host your party at teatime. So the snacks can be pastries, scones and muffins. 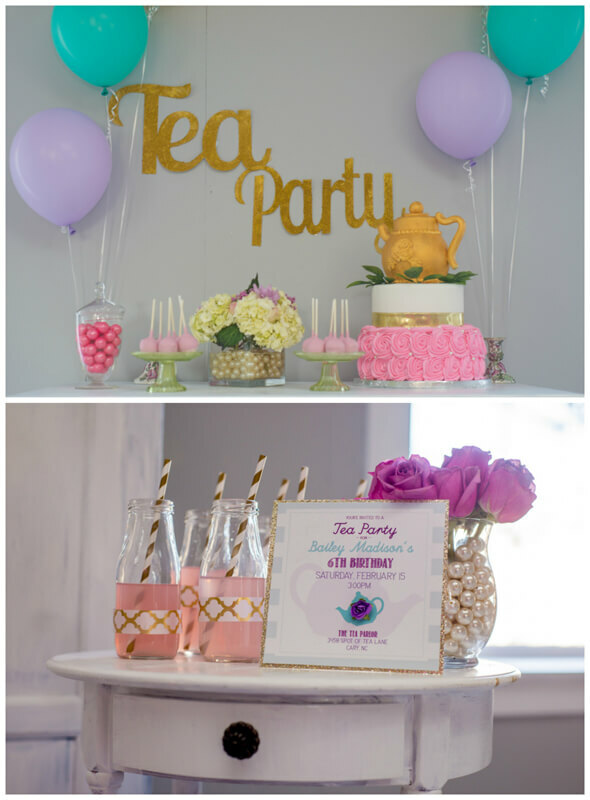 What more cool ideas for a tea party themed birthday? Check out this beautiful 6 year old’s birthday by Prettymyparty. From the table set to the cake, from the food cool invitation to décor which consisted of Pastel floral lanterns, this 6 year old’s birthday party is what all little girls want. This is a theme that is close to my heart as it was the theme of my daughter’s first birthday party. Dora the explorer theme is a hot favorite for most toddlers. This is a theme suitable for kids above 3. Plan a treasure hunt just like Dora and her friend Boots has. That doesn’t mean kid below 3 can’t have a Dora themed party, they won’t be able to play these games though. You can also play memory games. Weng from Special Moments By Weg and her husband organized a Dora themed party for their lovely girl and I feel this is one of the best Dora themed parties I have come across the Internet. They even had a Dora mascot for their party. What more can the kids ask for when they can meet and greet Dora herself!! This is a theme that suits all ages. The aim is to go all out and include the colors of the rainbow in every aspect of the décor. Games can include matching colour games, treasure hunt with each team picking items that are of certain colors etc. Debbie Chapman from OneLittleProject threw a rainbow themed birthday party for her girl’s first birthday. And, ho..man I am in love with this theme after going through her page. Take a look at how she organized it and thank her later. Ariel used to entice me and I wanted to be like her once upon a time. You can plan a mermaid theme party for your little one, without breaking your FD with homemade décor. Make invites in the shape of clams that open to reveal the details. Go for light blue and green as they are the colours of the sea. Make a paper shell garland. You can even use this as a birthday banner. Older kids can decorate picture frames with seashells. Younger ones can be given paper shells to color for the party games. 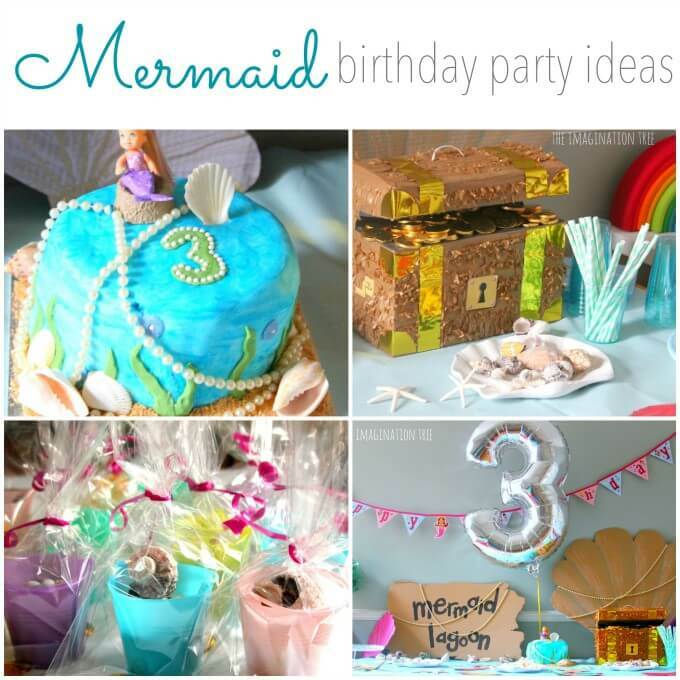 For more cooler ideas, take a look at how Anna Ranson organized a Mermaid themed party for her 3 year old. I am fully in love with how she has turned simple cardboard boxes to awesome party décor fitting the theme. This one is similar to the theme listed above and so the décor can be more or less similar. Add more of marine animals, it will help awareness as well. You can make invites in the shape of starfishes. They are easy to make and you can personalize it the way you want. You can have fruit popsicles and call them jelly fish. Also make cookies in shapes of sea creatures for adorable treats. Ditch the home or the hotel for the outdoors and plan a picnic party. The menu can be one that you would take for a picnic. For example you can take- sandwiches, cookies, cupcakes, fruits and a big jar of fruit punch. For this theme, you need not worry too much about the décor as it is a picnic theme. Plenty of outdoor games can be organized for kids to add action to the party. Peppa pig is cute little pig and makes a great theme for kids. Even if you aren’t a Picasso you can easily draw Peppa! The décor can be done in pink and don’t forget to add spaghetti in the menu as she loves it! The return gift can be small board books about Peppa and her adventures! 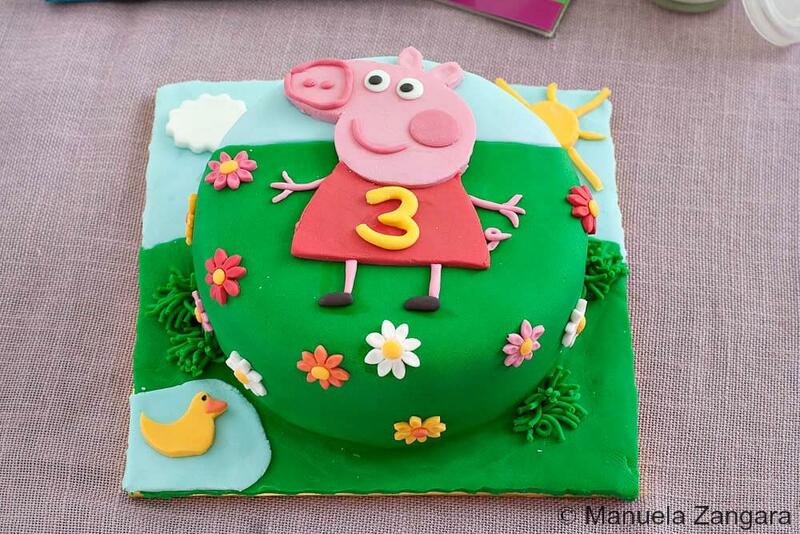 Manu from manusmenu threw a Peppa pig themed birthday party for her 3 year old, who is a great fan of Peppa pig. She prepared all the party food at home. It consists of Peppa pig shaped chocolate cookies, pig in a blanket, chocolate muddy puddle cups and of course a Peppa themed cake. When you think of nautical theme the first thing that pops up in the mind is – anchors! So you can center the theme on that. Ditch the “Hey” for “Ahoy”, but and use some fancy seafarer terms for maximum impact, but don’t confuse it with a pirate theme though. If you are hosting the party indoors, you can make some paper boats, kids can blow it to see whose boat travels the farthest! Anna from One Charming Day has a lot of pictures from little Jaden’s 1st birthday party. 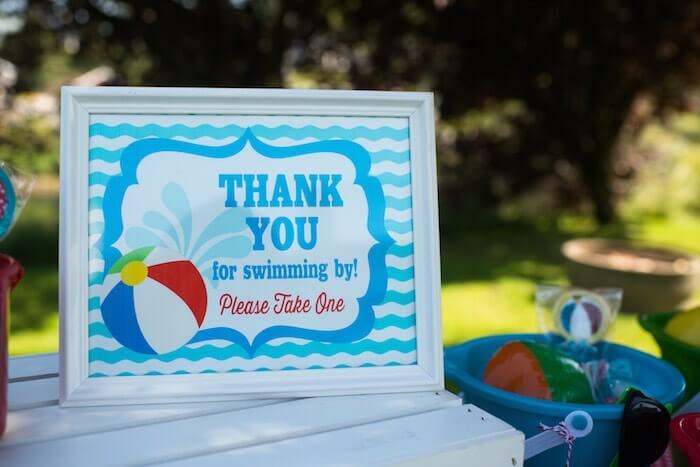 This can give you a perfect idea on how to conduct a nautical themed party. Before I talk about this one let me tell you, this one can be bit risky so ensure there are watchful adults around. Have all the safety measures in check before throwing this party. You can get away without too much décor as kids love water. The games can include some pool volleyball. Avoid letting the kids eating near the pool. 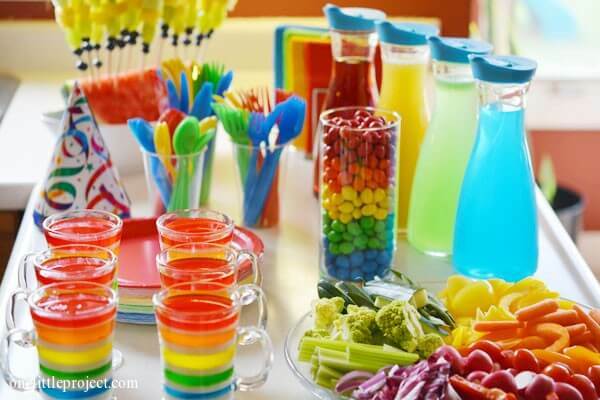 Check out Kara’s Party Ideas for a colourful pool party themed birthday celebration. Teens would love this, celebrating their favourite day with their friends! You can plan a pajama party with an invite in the shape of a nightdress. This one doesn’t require much of décor and would be fun! This can also be a party for smaller kids, if you plan to keep it late in the evening and this way parents won’t have to worry about getting them ready for bed once they get home. Let the kids come wearing pyjamas. Décorate the room with some bed and pillows. For more ideas take a look at Kate’s polka dotted pyjama party organized by her talented mom Dusty Rogers of AllThings G&D. This one is same as the pajama party, instead the friends would be sleeping over. Provide lots of pillows and sheets to make fortresses! As the name suggest this one is all about pink and gold. Get some pink and gold balloons. If you can’t find golden colored ones, grab some gold metallic paint, and add some dots onto the pink ballons! Use gold letters on a dark pink background for a really effective birthday banner. The favor boxes/bags can also be in pink and gold. 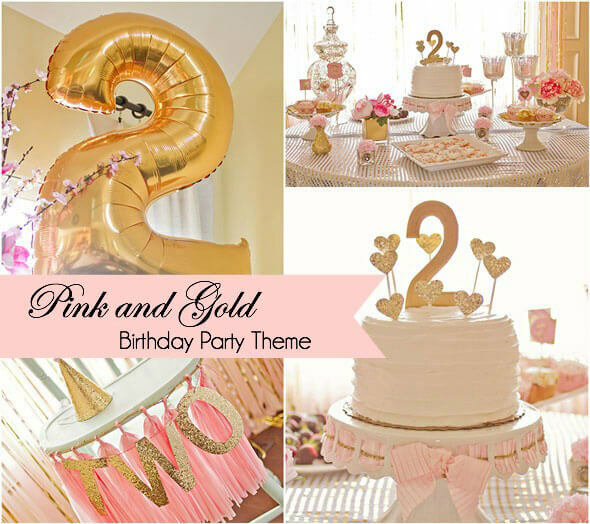 Jamie from PrettyMyParty shows you how to throw a sophisticated and girly pink and gold birthday party for your princess. Kids love to dress up so this is a fun theme. It would be great for kids above 4. The décor can be in black, gold and pink. You can make an invite in the shape of a handheld mirror. Get some pearl necklaces, feather boas, and shimmery scarves that the kids can use to dress up. 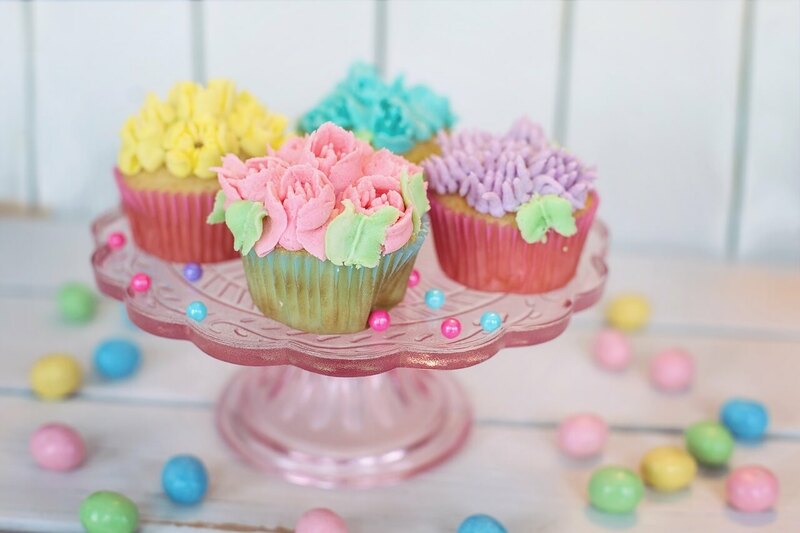 If your little one and her gang of friends love cupcakes, then this is the theme for you! Start with cupcake shaped invites. Next cut out some cupcake shapes from paper and string it together to make the streamers and birthday banner. You can have a cupcake counter where kids can choose their own toppings. For older kids, they can even help in the baking process! Allow the kids to do some cupcake decoration too. Yet another classic theme as Barbie is a favorite with girls! The décor can be in pink and black. You can make a cute birthday backdrop with a profile silhouette of Barbie! This one is for those tweens who don’t like kiddie themes. It also fits as a birthday themes for teenage girl. When I say foot spa, it doesn’t mean you have to splurge on a fancy foot spa, you can do that at home itself. Transform a room into a spa, switch of the lights, light some scented candles. Make some homemade scrubs that is suitable for them. Get their nails done. Let the kids much on some of their favorite snacks while they are pampered. 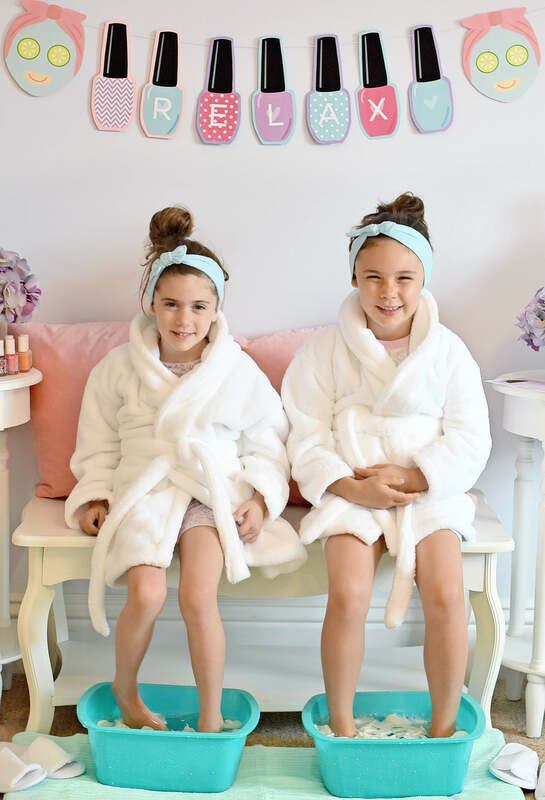 Let your little girls have their own personal spa experience. For décor, invitation and food ideas take a look at Pedicures and Pampering: How to Host a Spa Day for Kids by Project Nursery. This list won’t be complete without this theme! Ever since the movie released, kids around the world have been touched by the frozen spell. 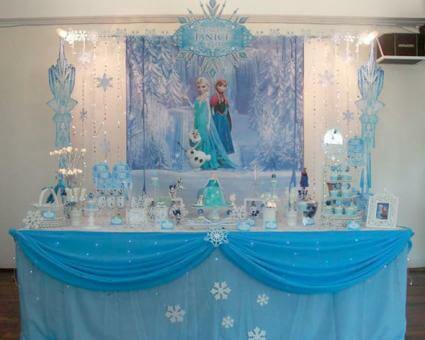 The décor can be done up similar to the winter wonderland theme, but you can add the characters of Frozen for a wonderful party. The activities can include, sticking the nose on Olaf, making snowmen with homemade blue play dough, making paper tiaras like Elsa. Amy Hoover from Love To Know gives you all details on how to organize a frozen theme party for your little princess. Which girl hasn’t gone through a ‘I am fairy phase’ at least once in life? This one is for them. This one is suitable for almost all. Fairy wings and pink tulle can adorn the walls. You can give all the fairy guests flower crowns and wands. 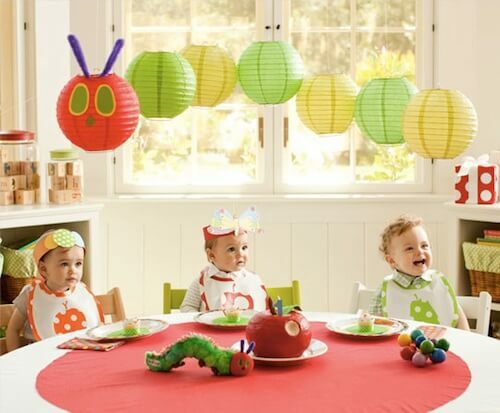 The activities you can plan for this party include enchanted balloons- where the children try to blow and keep the balloon in the air and decorating the magic wand. Yet another game is break the spell. All fairies should sit still while one will make the group laugh, if anyone moves or laughs, then the spell is broken and they are out. This perfect theme for the little princess of your castle. The décor can be same as above but instead of the wings, use tiaras. You can make the invite in the shape of a tiara too. The games can be a musical throne (instead of musical chair), decorating the tiara. The favor bags can have the picture of a tiara with the name on the kids on it. It is not just guys who love their superheroes, girls love them too. Let them be superheroes for the day and save the day! Speech bubbles with Wham, Pow, Kabam can be used in the décor and as cupcake toppers. Let the girls decide their superhero persona and dress up accordingly. Keep some capes ready and let them design their masks on their own. Hide toys, which these superheroes have to ‘save’. You can make buildings with black chart paper and coloured squares stuck on it to form a cityscape- the city where these superheroes reside. Katie G from The Perfect Party has 7 tips to share with you on how to throw that perfect superhero birthday party. Catch My Party has featured this in the most adoring way in their photo gallery. Jewellery making is a theme suitable for tweens. Gather the stuff and they can make some pretty bracelets and chains for the games part. Make a cake themed on jewels. You can give handmade rings, neckpieces etc. as return gifts. This one is yet another favorite of mine, as this was the theme of my little one’s second birthday party. Keep a lot of plane and cloud shaped cutouts. You can also transform the place into an airport by using signs like arrival, departure check-in, check-out etc. Kids can make some paper planes and fly them. A competition on whose plane flies the farthest can be done. This party is suitable for both girls and boys. 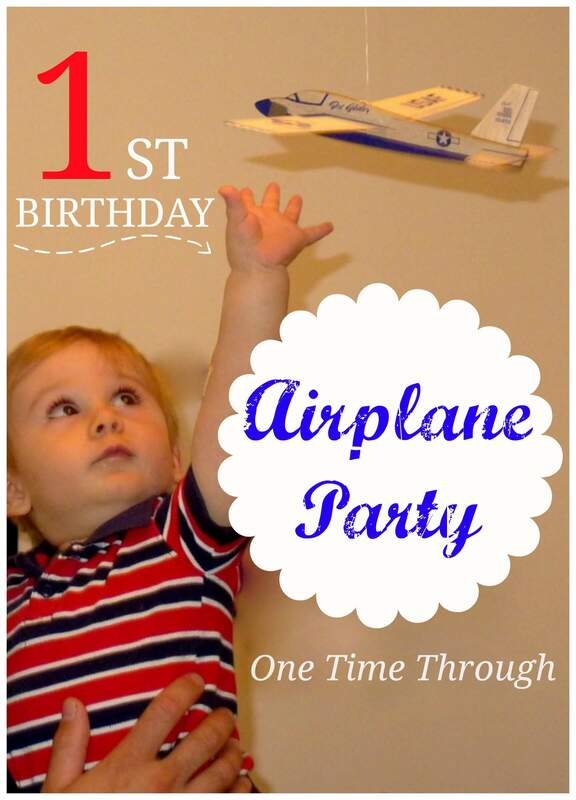 Sue Lively threw a planes themed party for her son’s first birthday and its perfect. From the baggage claim area for party goodies to that that washroom sign, I am totally in love with how she has done it. If your girl is one who loves solving puzzles, this party is for them. You can decorate the venue like a crime scene. You can decide the complexity of each puzzle based on the age of the kid. Throw in some science puzzles if your child is interested. This one is for little one’s below 2. Small kids might not be too much into themes, but would like this one. Ask the other moms for the kids’ favorite rhymes and you could make a playlist. You can put on the rhymes and let the kids do an action song or dance to the rhyme. The décor could be characters from the themes. Little Bean had a Nursery rhyme themed birthday party organized by her mom Anna Ranson. I must admit that she is quiet a planner seeing the way she has put together all the favorite rhymes together and come up with stunning décor and activities. This one is for older kids and they can come dressed as their favorite star. The invite can be made in the shape of a movie ticket and you can have movie posters adorning the walls. The entrance of the venue should have red carpet and don’t forget a few paparazzi at the entrance. Don’t forget to include popcorn as a part of the menu. Include a photo booth with Oscar stage theme and am sure your young lady guests will love to click a few pics in glam and style. 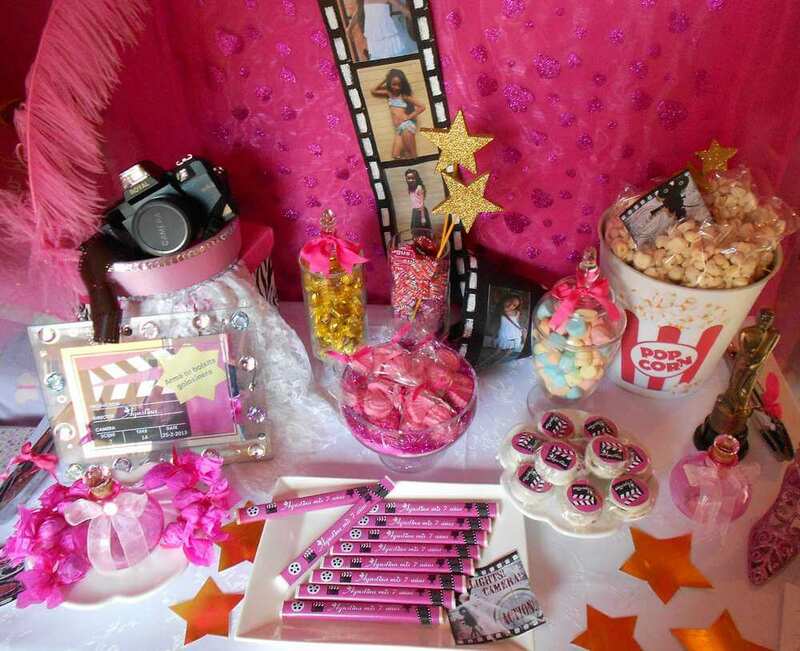 For more cool ideas for a movie star party visit this page of Southern Blue Celebrations. This is a fun theme for kids from 1- 6 year old. Go with green table clothes and animal masks for the walls. You can also have a photo booth, with some leaves stuck on it so that it looks like the animals are there in their natural habitat. 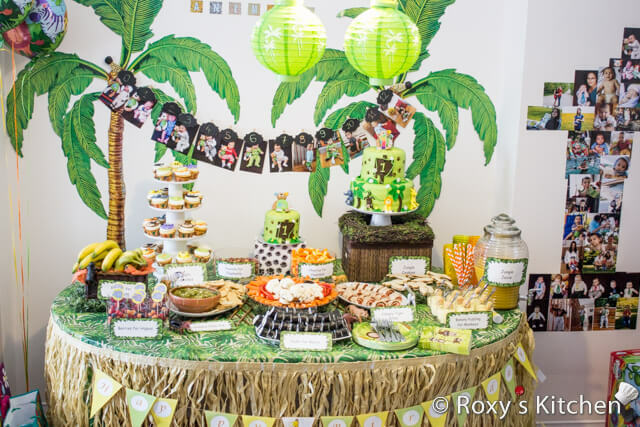 Roxy from Roxy’s Kitchen organized a perfect Jungle themed party for her son’s first birthday. She has given links to DIY decoration ideas, printable and party foods making it easy for other parents to throw a jungle party. Thanks a ton Roxy!! If you want a simple party with no frills, then just call your little one’s friends along with their favorite dolls or toys. Keep everything else simple. Keep the venue cosy for the birthday girl and her friends. Don’t forget to make seating arrangements for the dolls too. You can also give dresses and accessories for their dolls. Let the girls conduct a tea party for their dolls. 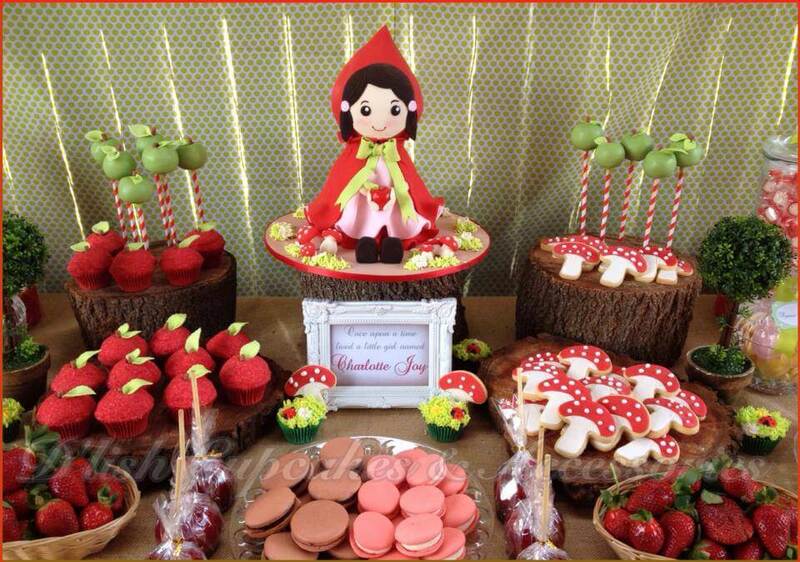 Take a look at how Hazel celebrated her 6th birthday based on this theme. Hazel’s mom, who owns the blog Craft Mom Shares, has written that Hazel helped in making the decors and even the cupcakes. Well done, Hazel!! Transform your house into Hogwarts. The invites can be made as Hogwarts acceptance letters. As the guests enter they can find which house they belong to by picking out a name from the sorting hat. You can have a potions class with certain harmless chemicals and demonstrate a few science tricks. Feel free to name the items of the menu like the ones on the Hogwarts school menu. Have a Triwizard Tournament with different tasks that the kids can complete to win prizes. Chelsey from Buggy and Buddy organized her daughter Lucy’s 9th birthday around Harry Potter theme. I loved the idea of how she has put signs on even the bathroom toilets!! Very creative. Old is gold/ retro whatever you would like to call it, this is still a great theme. This one will be great as for a first birthday party or for older kids. Come dressed in fashionable outfits of yesteryears. You can also play music from old movies. You can have a trivia quiz about old movies and some important dates from the era you choose. This one is almost like the movie star theme. But here you can screen a movie for the kids like in a movie theatre. Have a ticket counter outside the venue where kids can purchase the tickets. There should be someone at the door checking the tickets too. This one would be enjoyed by older kids so if your little one is younger than 5, wait till she grows up. This one is a theme that has supporters of kids of all ages. The décor is easy and you can put to use all the flower making you did in school. From invites to décor, use different types of flowers. Make flower crowns for all the kids. For a game you can try pinning the bee to the center of the flower. 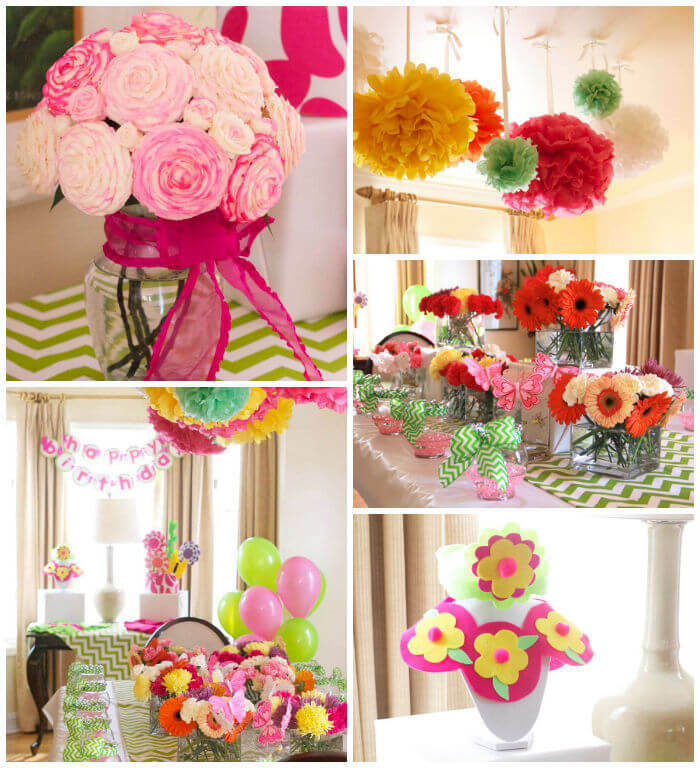 This sweet flower shop themed birthday party by Kara’s Party Ideas can give you awesome inspiration on how to organize a floral party. Who said only guys can be buccaneers? Ever heard of Red Jessica or Izzie from Jack and the Neverland pirates? The invite can be a scroll in a bottle. Make treasure chests from old cardboard boxes. Make some swords for each pirate. Also give them eye patches to complete the look. Don’t forget to have a treasure hunt as pirates love treasure. 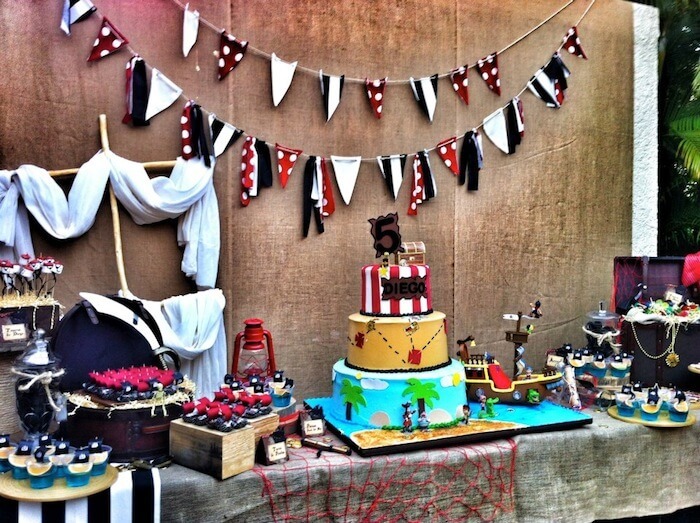 This pirate party by Ana Teresa Amaris is a good example on how to organize one. Start off with making small passports for each little guest. Tell them to get it when they come for their party. You can have different games that have themes related to different country and as they complete each, you can stamp their passports. The décor can include globes, maps, pictures of famous landmarks, suitcases etc. For amazing décor, banner, invitation and printable for this theme , check out New Themes For Parties Blog. Choose a bold color like red, black, purple or gold and use that as the main colour theme. The invite can be cut in the shape of a Venetian mask also decorate the place with them. This one is good for small kids who are not yet excited about games or older kids who want a cool birthday theme. You can get the kids to design masks in this theme. 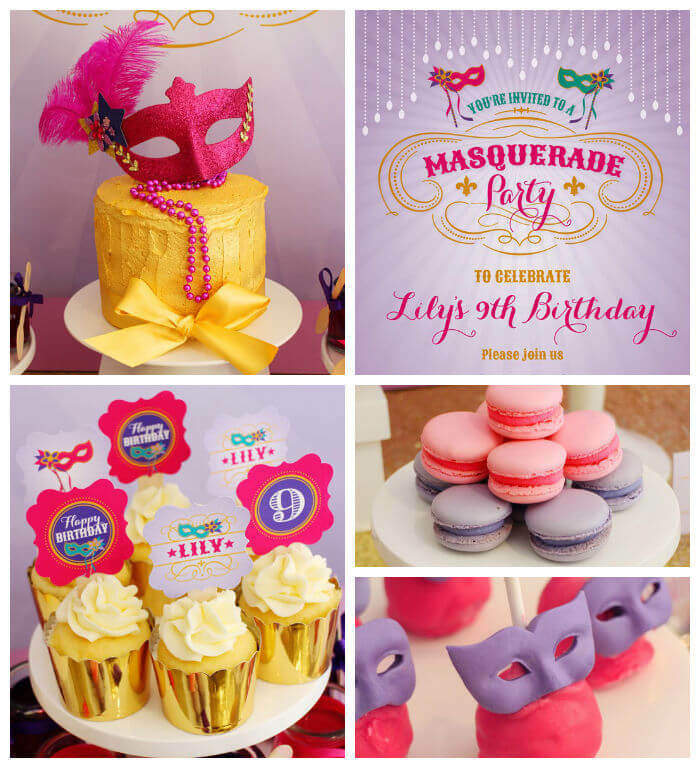 Kara’s Party Ideas gives you a clean picture of how to conduct a masquerade party. Hannah Montana is a good theme for tweens. Hannah Montana is a singing sensation so let the kids put up a music show. Take a look at the pic in Jillian & Co to get an idea on how to go with the décor, foods and gifts. This one is a no brainer. Provide kids with craft items based on their age and let them indulge in some artsy crafty works. Make sure adult supervision is there if you have provided any sharp items like scissors. 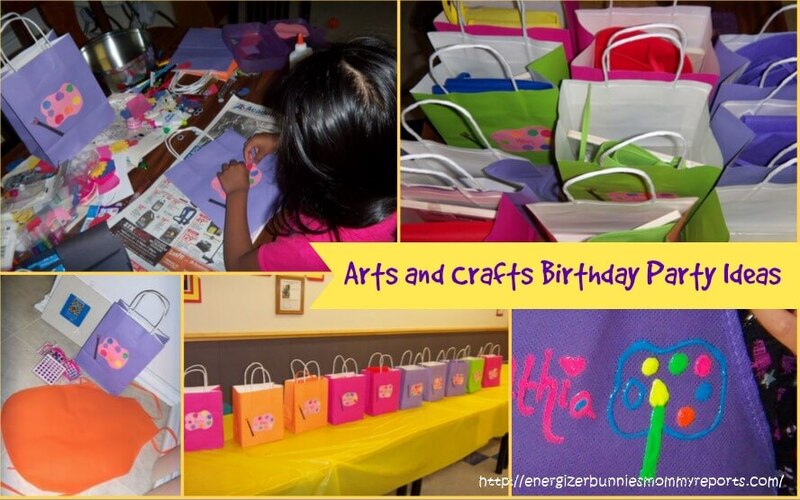 Marina hosted a craft themed party for her girl and seeing the pictures I can tell that the birthday girl and her guests had an awesome quality time together. Sofia is an adorable princess who stays grounded despite her stature. Don’t we want our princesses to grow up and be like her? If it is Sofia that your kid loves then have a Sofia themed party. Send out invites in the shape of a royal scroll to invite other princesses. The colour theme can be purple with white or pink accents. Sofia wears an amulet and the royal magician Cedric is after it. Tell the princesses that Cedric has hidden the amulet, and send the princesses to find the amulet as one game. For the décor, I am in love with want Super busy mum has done for her lovely daughter Annabelle’s second birthday. That tutu cake stand, I am making it for sure!! Birthday in a box gives you amazing ideas on invitation, décor, food, party favours and more. Want to take trip to Hawaii, but can’t? 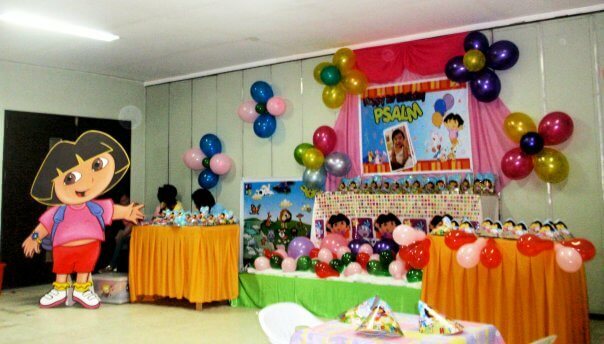 Then use that as an excuse to transform your child’s party venue into Hawaii. Use strips of green paper to resemble coconut fronds and use it to dress up the table. The guests can be greeted with floral garlands and some refreshing tender coconut water. Include a lot of tropical fruit juices or punches. Challenge the little guests to a hula hoop competition or a limbo dance-off! 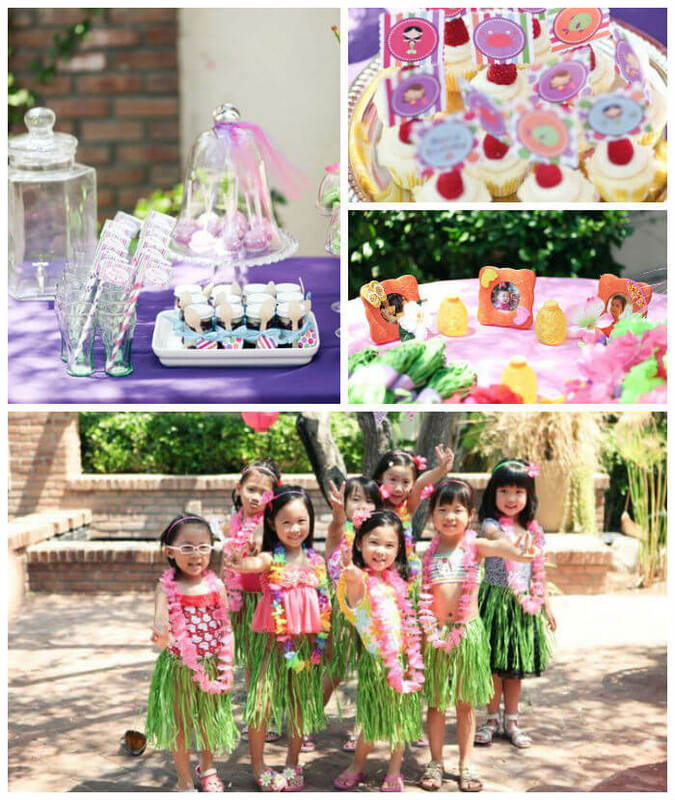 Joanna Hsu has submitted a Hawaiian luau fourth birthday party in Kara’s Party ideas and it has everything from cute Hawaiian outfit ideas to food and décor. Do check it out and am sure you will fall in love with this theme. This is good for kids from 1-4. This is a theme that can do with minimal and generic décor. All you have to do is cut out shapes and stick it around the venue. The games can include matching the shapes, treasure hunt where each team is given a shape and they have to collect things that have the same shape as the shape provided to them. Cookies and edibles in different shapes can be provided. 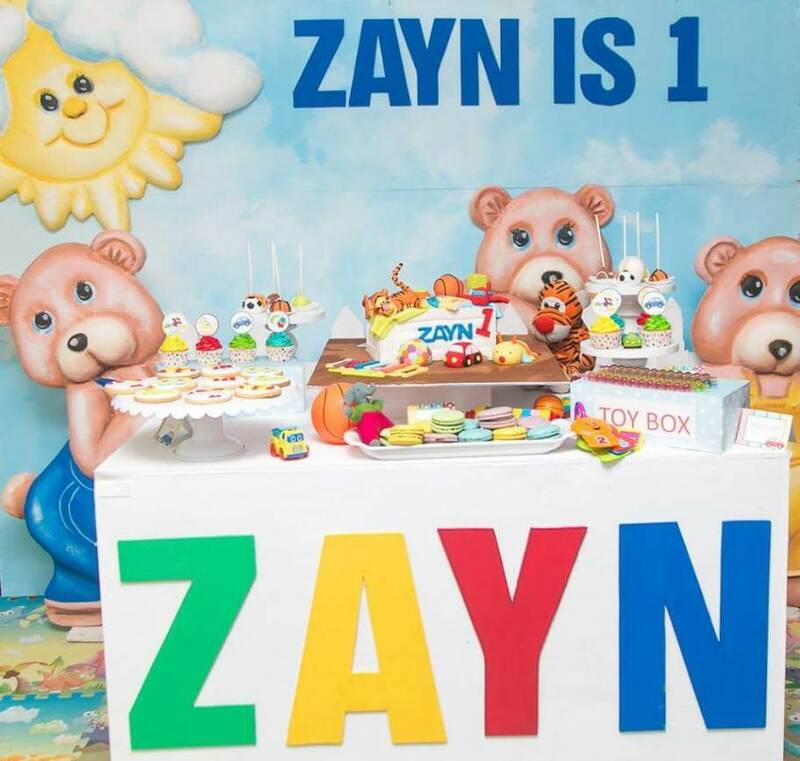 Abeer Rizvi of cakewhiz celebrated her son’s 2nd birthday party based on this theme and I am totally giving it to her for that colorful poster in the background. Simple and creative. I love owls! This makes for a nice theme too! Start off with the invite in the shape of an owl. You can get the children to convert some small pots into owls by painting them in their favourite colours. Spruce up a game of Simon says by using the phrase -The wise owl says. 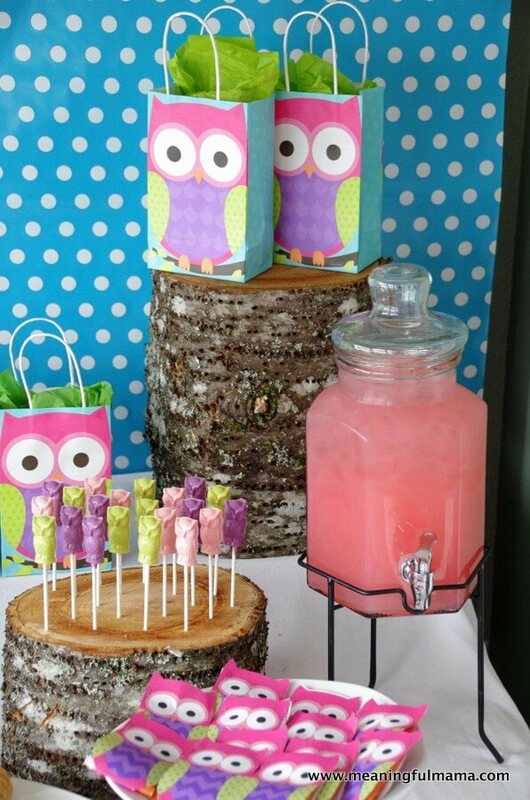 Jodi of meaningfulmama did a owl themed party for her Duaghters birthday and I must say she hasn’t missed any details. It’s so perfect that I wish I were the birthday girl!! 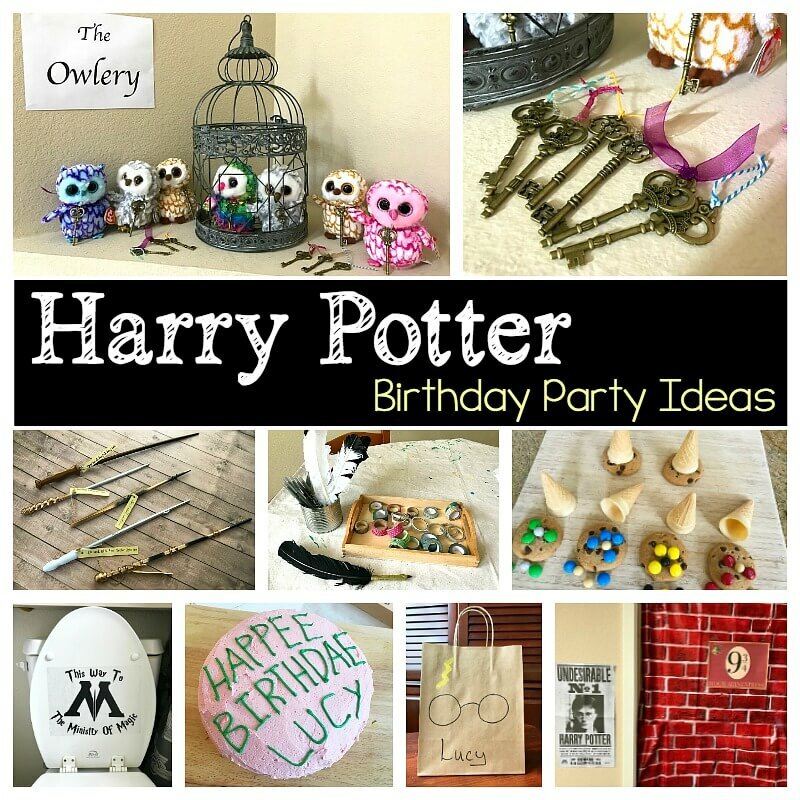 Fly to her blog to get some tips on how to do an owl party. Dr Seuss is a lovely theme for kids. This one has a lot of options for décor and games too! You can either choose a particular character of Dr Seuss or go with all. You can plan some games based on the characters. You can wind up by having a reading session of a Dr Seuss book. 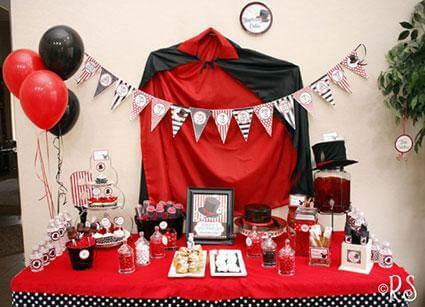 Take a look at how Jeanette Mays did a Dr. Seuss themed party for her kids. She has given the link to all the decors and printable she has used and also has included food ideas making it easy for those who wish to host a Dr.Seuss themed party. Thank you Jeanette. This one is apt for almost all! Kids love magic. Hire a magician to do some tricks. If you little one is small, then you can learn some tricks to enthrall her and her friends. Kristie Lorette McCauley is a certified Event Planner and her skills are sure highlighted in this post Magic Themed Birthday Party Ideas. A puppet party is fun as you can make different types of puppets! Have a shadow puppet show and encourage the kids to do a puppet show of their own! Hint-You can use small paper bags, socks etc to make awesome hand puppets! Before Frozen, it was Minions! They still are around and though they are from the movie Despicable Me, there is nothing to despise! Get yourself some yellow and blue streamers, yellow balloons, yellow chart paper, blue coloured paper and you are good to go! You can create a world of minions with this! 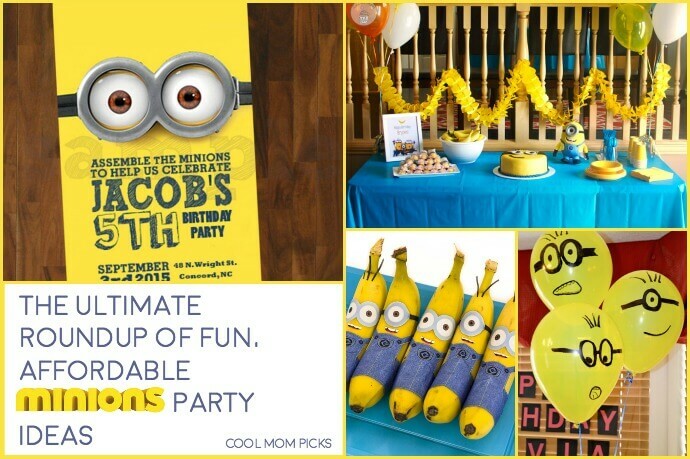 Christina Refford of Cool Mom Picks gives to you very creative minion party ideas that are affordable..
Birthday parties should be fun, right? So this one is all about fun. If your little one loves games organize a carnival theme party, it is better if you can do it outdoors. Lots of colorful streamers along with game and food counters will be really a great idea. 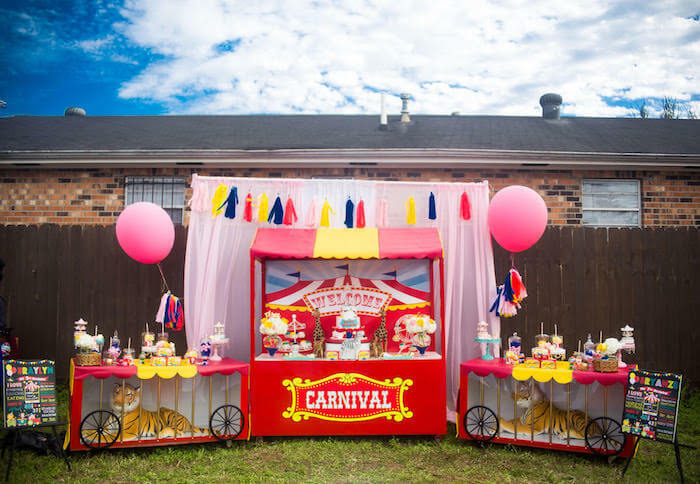 This amazingly set up Carnival party from Karas Party Ideas can give your party that whole wow factor. Complete with tigers in a cage and carnival games this party sets a whole new level. Does your child love animals? Then plan a farmyard themed party for her. This one is suitable for kids from 1-4. You can ask kids to match animals to their offsprings, food or cries. They can also make face masks of their favourite farm animal on paper plates. 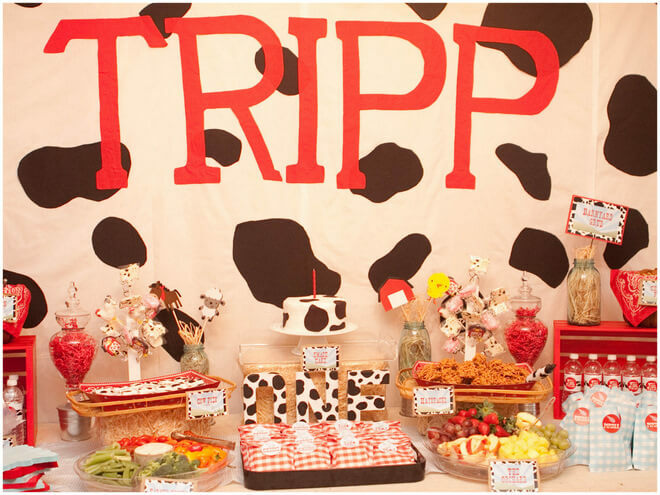 From cute cow prints décor to sheep shaped cupcakes and farmers hat for the guests and the birthday star, Pizzazzerie has all the details you wished for conduct a farmyard party. Kids love toys, and this party is perfect for both girls and boys. 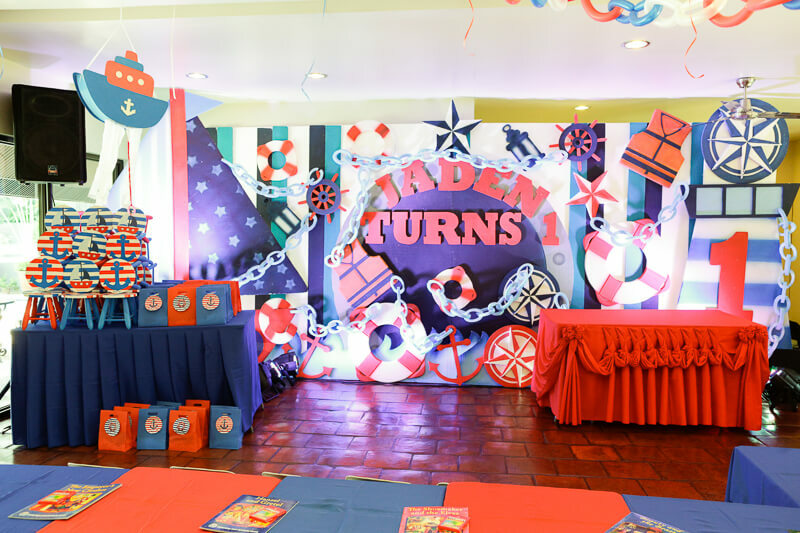 Check this Toybox themed birthday by Birthday Party Ideas 4 You. If you have seen the movie, you will know why this is a fun theme. This will be a big hit with kids. You can add elements of the Luau and the carnival theme in here. That and animals, make sure there are plenty of them! Not real of course though. 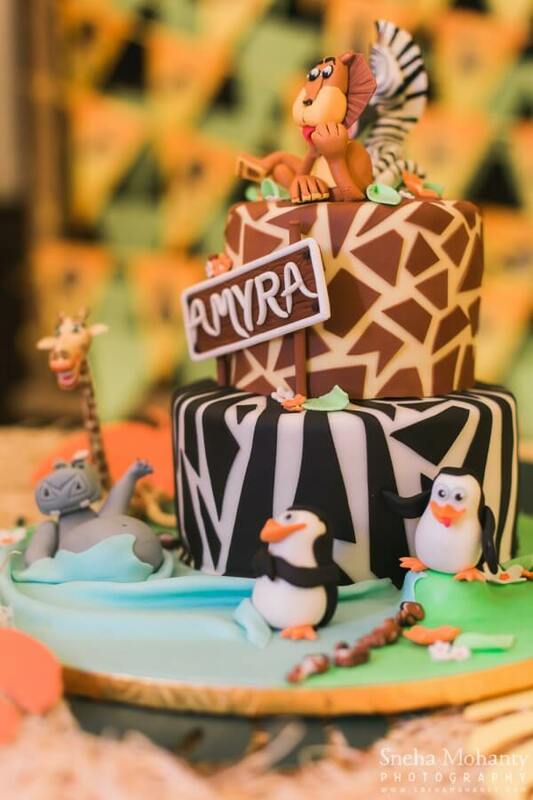 Here is how little Amyra’s parents hosted a Madagascar themed party and it looks awesome through Sneha Mohan’s lens. 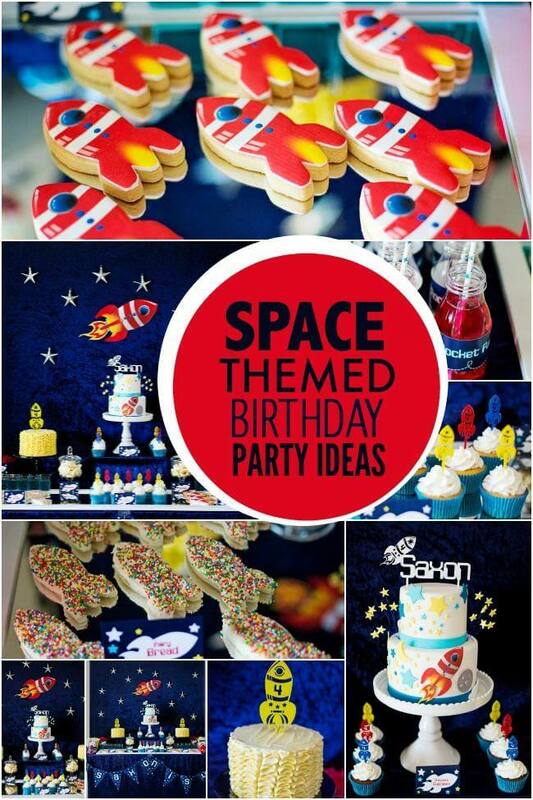 If your little one loves space then let her throw an outer space party for her. Start with a rocket shaped invite, planets, stars and throw in some aliens for extra measure. The drinks can be green in colour. Get some inspirations from this outer space birthday party by Stephanie Keeping to bring a smile on your birthday girls face. Kids love Chhota Bheem and his friends. If your kid can’t stop talking about Chhota Bheem then this is the theme you need. Dress your little one as Chutki. If you are good at drawing then draw out the characters on white chart paper and colour it. This can be stuck to cardboard for cutouts for the entrance and the venue. For games you can draw the face of chhota bheem on a chart paper (It should be large). Then cut out a circular portion where the mouth should be. Get some yellow paper balls. These are laddoos that have to be thrown through the mouth. You can also draw a face of Chutki and get the gang to stick a bindi on her forehead, blindfolded. The one closest wins. You can also handout colouring sheets to the kids with their favourite characters. 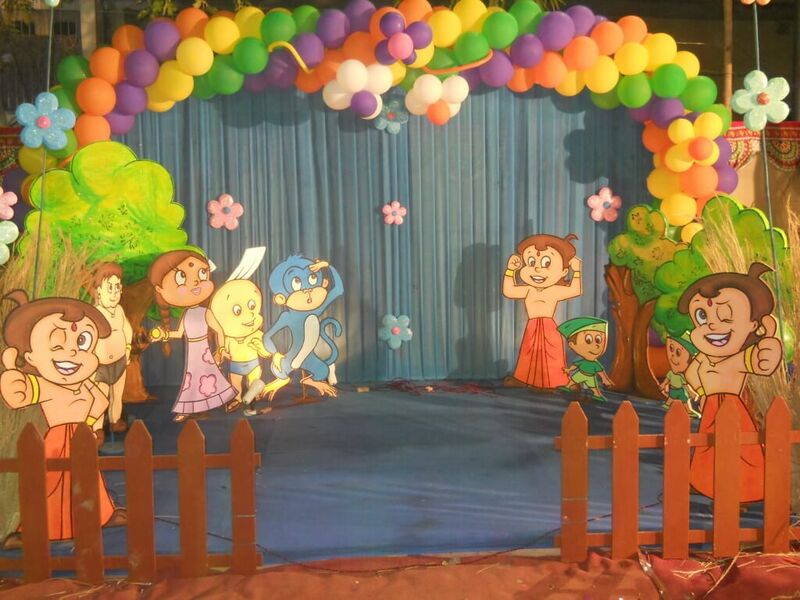 Here is how Subh Muhurat organized a Chotta Bheem Party for Angelina. 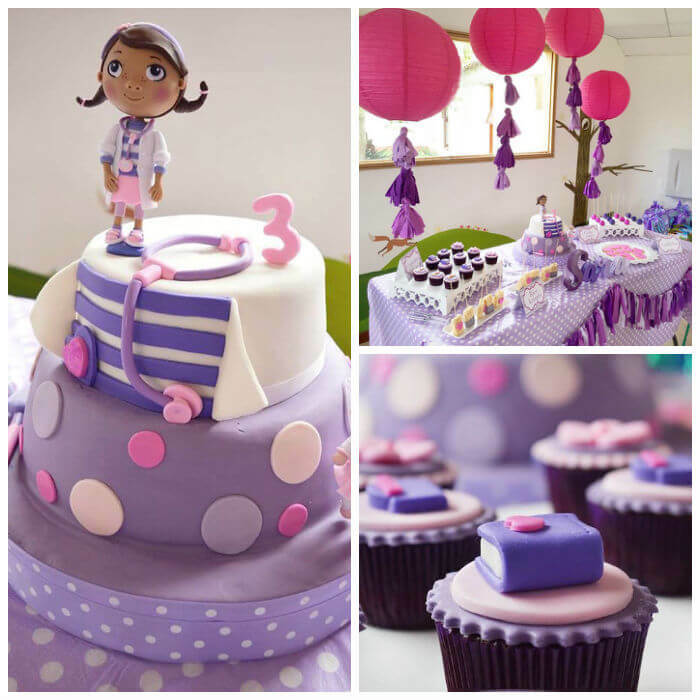 If your little one is having a doctor phase then plan a Doc McStuffins theme party! I know what you are thinking, a doctor theme for a birthday? But trust me, it will be fun. Make up some funny symptoms like you see in the show and ask the kids to diagnose. Let them do a drawing to put in their big book of booboos. Also play a game of putting the bandages on booboos, which is a blindfold game. Kara’s Party ideas has one Doc McStuffins theme party that will give you a better idea on how to organize one. Bring the classic childhood story to life with this theme. Remember how she was supposed to stay on the path to go to grandma’s house? So for the game you can have a journey to grandma’s house. Decide a start and end point. The end point is grandma’s house. Draw or keep small circles (big enough to put a foot on). The girls will have to go to the end point by stepping only on the end points. Those who step outside will be eaten by the wolf (will be out). Plan a treasure hunt by hiding goodies for grandma. Give each kid a basket and ask them to find the hidden goodies. The one who has the most goodies in their basket by the end of the game wins. If your child’s gang is not into games then plan an artsy party for them. Provide them with paper/canvas and paints. Let them go berserk and create masterpieces. You can end the party with an art exhibition J. Party favours can include personalized aprons and painting kits. Kids love fairy tales, so it is no surprise that Rapunzel made this list. After the movie Tangled came out the popularity has increased further. For games, make a small barrier with cardboard (that’s the castle wall). Each girl can sit on the other side. Make sure they can’t see the other side. Keep two cutouts, one is the prince/ Flynn and the other will be the witch. Give them a small braided rope (that’s the famed hair). Tell them to throw on end out and if it falls near the witch, they are out. Give hair accessories as party favours. We never celebrated Halloween in India, but thanks to TV and Internet, everyone knows what it is. If you child’s birthday falls close to Halloween and likes all things scary then plan a Halloween birthday party. This one is good for older kids as small kids might get a bit scared with the décor and theme. A Jack o Lantern themed card would work out great. You can take a chart with some prizes written on them. Cover it with balloons. Each prize should be covered by a balloon, the kids can pop with darts. 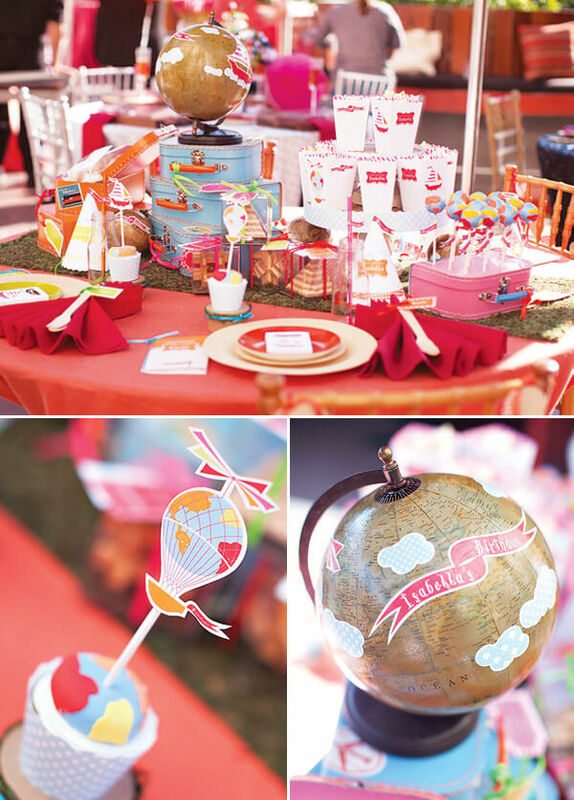 Plan a party filled with whimsy and fun with this theme. For games, you can do a Mad hatter game where guests compete to throw a ball into a hat. You can easily make one with chart paper! Another game that can be done is to bell the Cheshire cat. Hide a small cutout with the picture of the cat. Let the kids split into teams and find out where the cat is hidden. The team who bells the cat first wins. You can also make them try making towers with playing cards. If you think that this is more for guys, think again, the new movie saw two powerful icons- Leia and Ray. So dress them up in princess Leia or Ray costumes and let them have fun. For games, write down names of characters on aper and put it in a jar. Let each kid choose a character from that. The one who gets Jedi should guess the characters correctly by asking questions. The one who gets maximum correct answers wins. Transform your venue to Equestria for this theme. Cut out colourful ponies, rainbows, butterflies, flowers for decorating the venues. You can’t decorate the girl’s hooves instead do some nail art for them. You can give them some colourful hair accessories and extensions as party favours. A rainy day can play spoil sport to the best laid plans, right? But what can you do if your little one’s birthday fall smack in the middle of monsoons? Then go with a rainy day party! Decorate the venue with lots of clouds and garlands of rain drops. If you have an inflatable pool at home, fill it with water. Give coloured paper to kids to make paper boats. They can float it in this pool. Your little one is your personal ray of sunshine, isn’t she? This makes for a perfect first birthday theme. Decorate the venue with yellow. You can have a giant smiling sun as the backdrop. For a first birthday party you don’t really need games as they won’t be too interested to play by rules yet. Check party décor and food ideas at Kara’s Party ideas. As the theme says, this theme is all about tutus and tiaras. This is another trick perfect for a first birthday. Decorate the venue with tiaras and tutus. You can make the tutus yourself. There are a lot of tutorials online where you can do a no- sew tutu. This one is like the above theme, but for slightly older kids. Let them come dressed up as ballerinas and set up a dance show for you. You don’t have to worry if it is not ballet, as long as they are dancing and having fun, it is fine. You can make paper cutouts of ballerina and hang it up/stick it on the venue. You can give them paper printouts with ballerinas and stickers to spruce them up. You can let them colour it with their favourite colours too. Project Nursery has details on Ballerina themed party by Haeley. 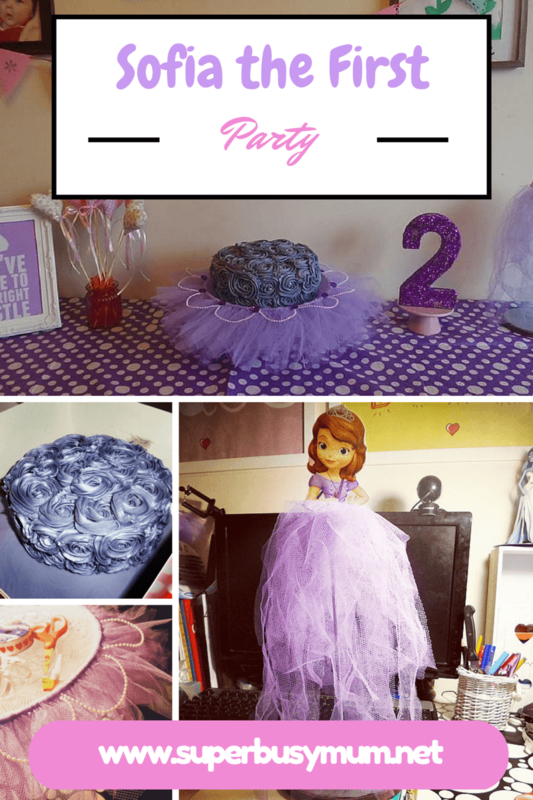 Haeley has given detailed steps to make the tutu and props used and also they had a homemade cake for the party. This will enchant the little ones. The décor can include character cutouts, character puppets etc. For games kids can try to feed Elmo’s goldfish. Keep a bowl and make the kids stand at a distance and throw small rolled up pieces of paper. Those who are able to land the paper in the bowl wins. Cakes/ cookies/ sandwiches whatever the snack be make sure they are in the colours of the character and name it accordingly. 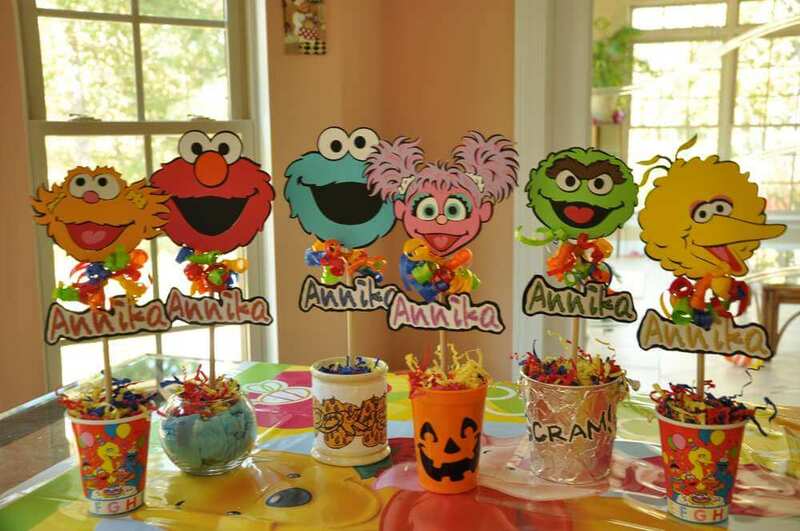 Go to Catch My Party and follow Annika to sesame street to get ideas on décor and food!! I was addicted to this game! It is a fun theme for your little girl too! 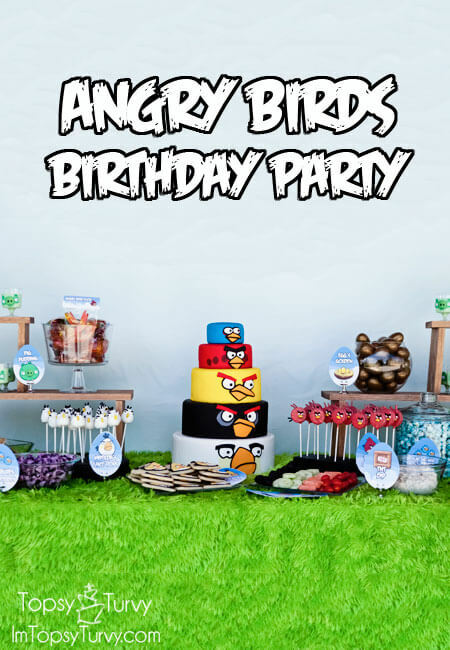 Make party hats with angry birds on them. If you can’t find angry birds balloons, make them by sticking the beak, eyes and necessary paraphernalia. Dress up a balloon as a pig and let the kids throw small rings on it to capture it! You can also make a piñata in the shape of a pig that the kids can smash. For food and décor ideas Ashlee of Ashleemarie.com can give you the needed inspiration. She has very carefully chosen the party food that includes pig pudding, red’s oreos, Matilda’s cake pops and more! This is a party apt for one and two year olds. This theme is based on the book series by the same name. You can have story reading session if kids are interested. You can also give them the books as party favours and include the food items that are mentioned in the book. 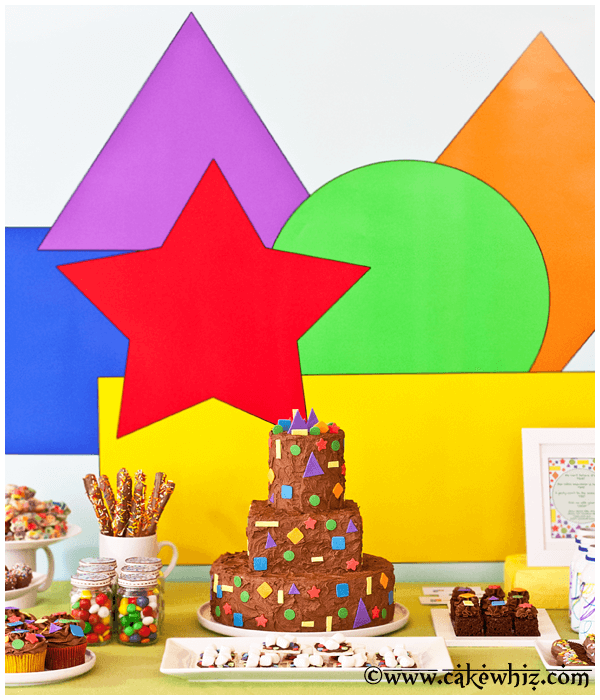 Blake celebrated his birthday in this theme and project nursery has all the pictures that will make you go wow. Just check it out. This theme has combined two beautiful themes together. Lego and princess. Here the princesses can build a Lego castle fit for royalty. Make lego themed cake, let girls dress up as princesses. This is just like the floral theme. All you have to do is add some leaves. Don’t forget to add some butterflies and bees too! For this transform your venue with magic lamps, carpets etc. You can dress your little one as Jasmine. The invite can be in the shape of a scroll. You can have low seating for this one. You can have a mehendi counter and some dance by little ones. 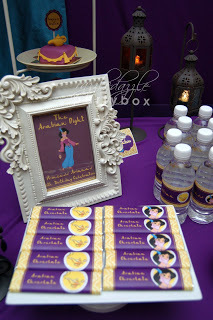 Razzle Danzzle Party Box organized one for a beautiful 10 year old and it is of course perfect for a Arabian Princess. This calls for red and black! It is easy for you to make ladybugs. You can use red table clothes and stick some black spots on it. Organise a relay race where at the completion of a lap, they can stick a dot on their team’s ladybug. From invitations to décor and food ideas, you can get all you need to set up this party at Celebrations At Home Blog. 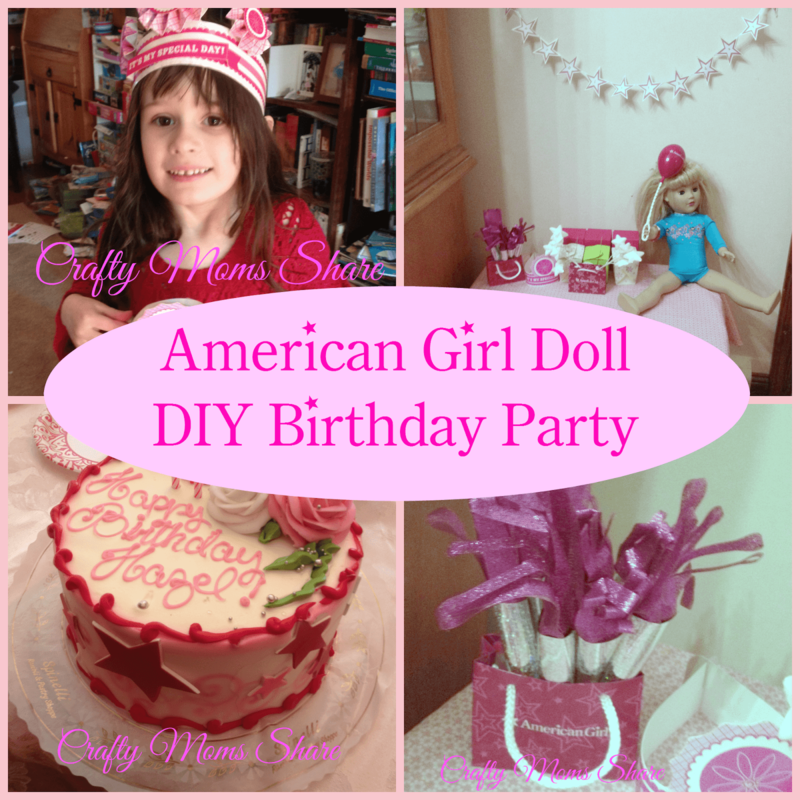 These just a few birthday party themes for girls and tips on how to get your party started. Don’t worry about how perfect the venue looks, instead concentrate on how fun the party is for the kids. While store bought goodies will help you save time and effort, handmade ones are the best. You can ask your little one to help you in making the décor items and planning the games. They will be delighted to help! Hope this helps you moms! 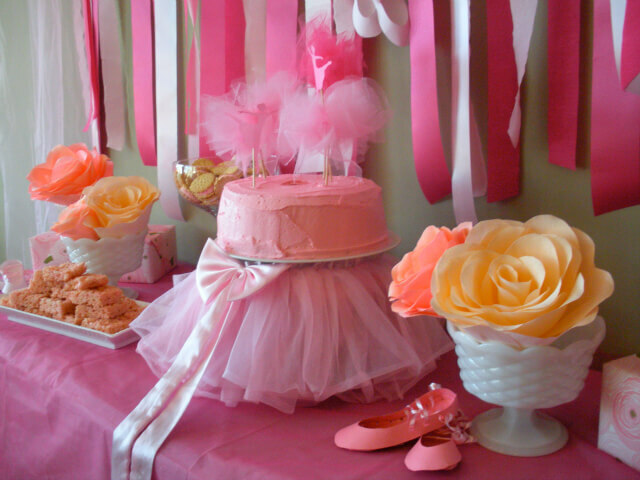 What was your little girls last birthday party theme? Previous ArticleWhy Taking Test for Down Syndrome is a MUST During Pregnancy?